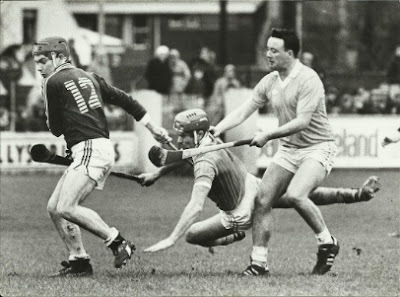 Michael (Hopper) McGrath  in a tussle with Mickey Sullivan [falling] and Gregory O'Kane of Antrim. Cups: Gilligan Tournament, East Board Count Cup. Middle: Rev. Fr. 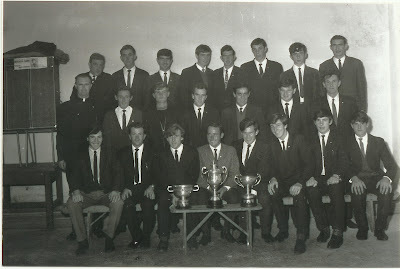 McNamara, Seamus Doyle, Sean Kelly, Billy Leslie, Seamus Nevin, Tom Moran, Jack Ward. Back: Jimmy Fahy, Sean Healy, Michael Corcoran, Willie Ward, P.J. Fox, Peter Ward, Martin Dolan, Johnny Dooley. Michael Conneely  comes bursting out of his goals with Tommy Fox  Vincent Kelly  and John Joe Madden partly hidden centre in close attention. 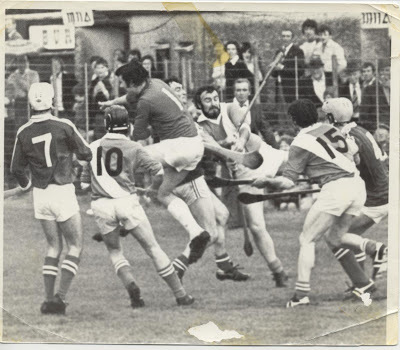 Sarsfields reached their first Senior county final in 1980 against Meelick-Eyrecourt played in Duggan Park Ballinasloe, captained by Sean Kelly (also the team trainer!). Sarsfields emerged victorious mainly through the accurate free taking of Michael Mulkerrins to take their first ever County title. Sarsfields then went on to capture their first Connacht title, before going down to Cork side St.Finbar's on a score of 2-11 to 1-3. Back row: Billy McDonagh, Gabriel Leslie, Kevin Keane, Brendan Kelly, Joe McGrath, Val Murray, Gerard Donoghue, John Keane, Thomas Stratford. 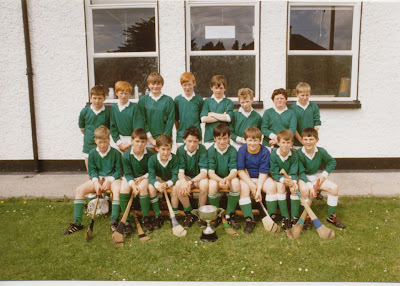 Middle row: Adrian McMahon, Alan Dwyer, Fintan Keane, Cyril Mitchell, John Noone, Eamon Keane, Conal Donohue, John Walshe, Noel Manicle, Peter Kelly. Front row: Dermot Hynes, Michael Stratford, Alan Moran, Gerry McGrath, John Kelly, Peter Cooney, Cormac McGann, Keith Glynn, Killian Keane. Back row: Colm Ward, Jonathon Dervan, Martin Spellman, Paul Dervan, MacDara MacLochlainn, Mel Gorman, Gerry Griffin, Cyril Murray. 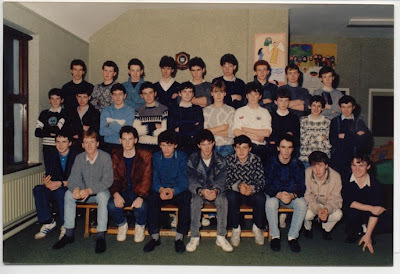 Front row: Padraic Ward, John ward, Ruairi Murray, Padraic Noone, Seamus Doyle, Cathal Madded, John Madden, Cathal McGuinness. Missing from photo were Brendan McGrath, Ronan Quinn and Brian Kelly. 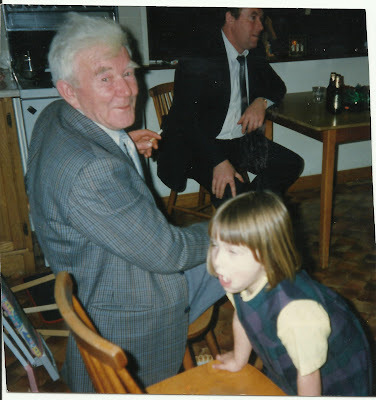 The late Tom "Wax" Deely in foreground, Laurence Scully in background. 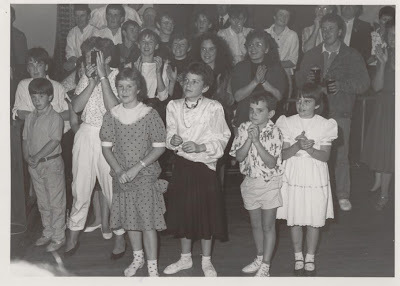 Girl in foreground is Maureen Kelly in whose parents house photo was taken circa 1992. Sarsfields are county champs for their 6th time. 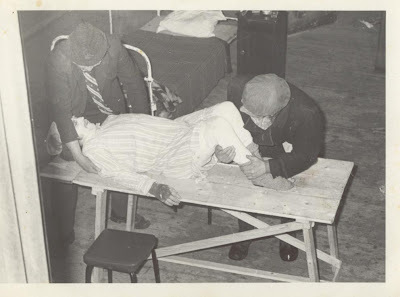 Sarsfields Novelty Act 1979 entitled "Dead but he won't lie down!" Left P.J. O'Reilly; "body" Gerry Huban; right Martin Dolan.